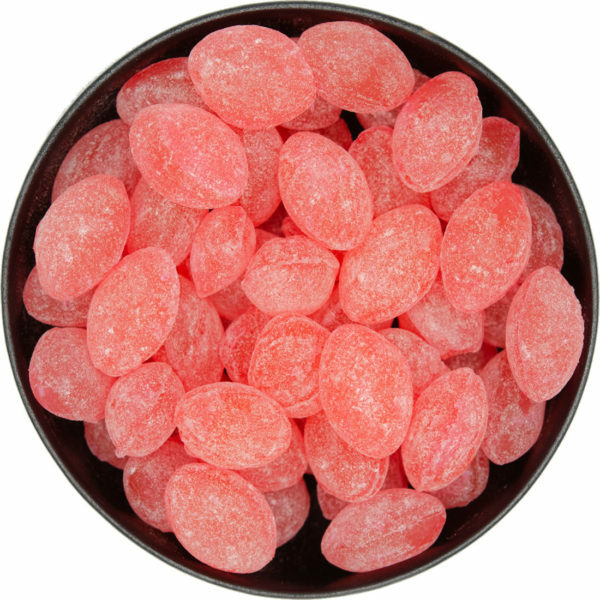 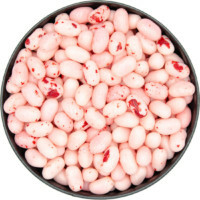 Old fashioned sugar sanded hard candy drops with a delicious watermelon flavour. 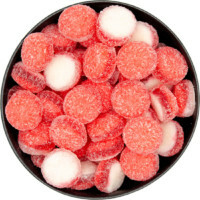 Dusted with sugar and naturally flavoured. 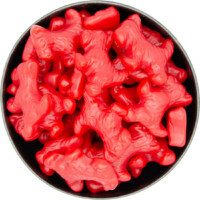 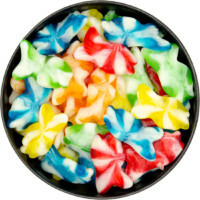 Sugar, Corn Syrup, Citric Acid, Artificial Flavor, Artificial Colours (Red #3).